Anthony Petrie continues his ‘Warrior’s Dreams’ series of screen-prints. This volume is inspired by the Code of Chivalry followed by Northern European Knights from the Middle Ages. On sale now HERE. 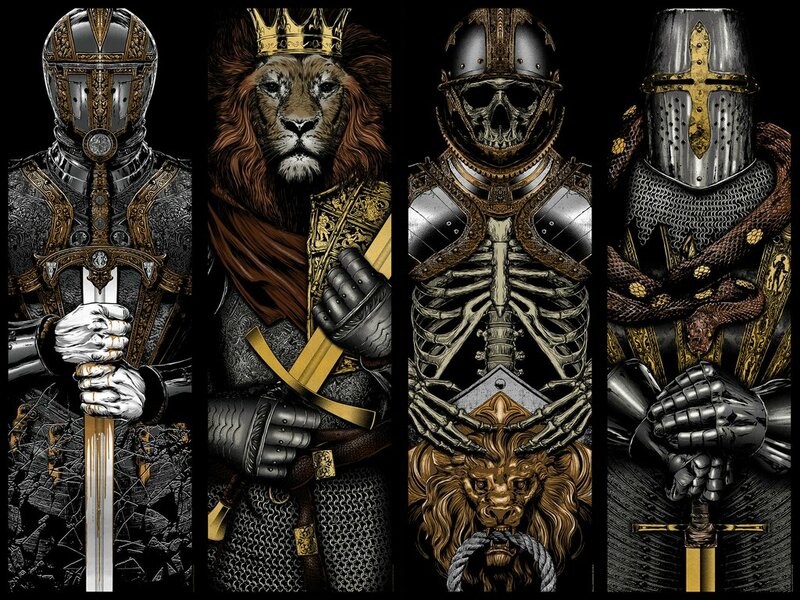 This entry was posted in Art Prints and tagged Anthony Petrie, Knights, Warrior's Dreams by admin. Bookmark the permalink.